Oakbank House015394 43386work01539 234900fax Guest HouseOakbank House offers bed and breakfast guest house accommodation in the Lake District. 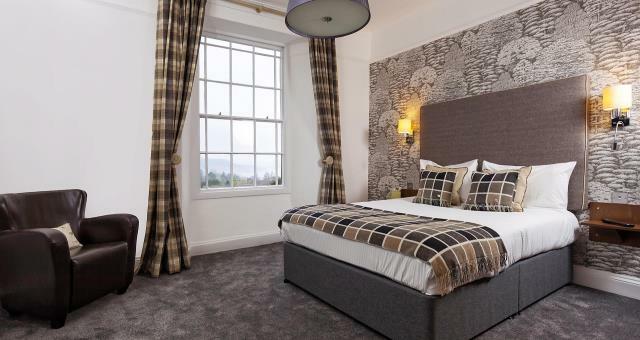 Oakbank House is located in the centre of Bowness-on-Windermere and overlooks Lake Windermere and the fells beyond. The Cumbria Quality Assured guest house offers bed and breakfast accommodation with many extra touches that make your visit one to remember. There is private parking and we are only moments away from the many shops, restaurants and local attractions of Bowness. A highlight of your stay will be our fantastic breakfast choice guaranteed to satisfy even the heartiest of appetites and produced using the best fresh local produce. Superior rooms have king size beds and fantastic lake views. They are larger rooms with more space and a touch of luxury. With WiFi and large screen TV your comfort is assured. Oakbank House sometimes limits bookings to 3 or more days. We stYed in room 1 with a beautiful view and a nice bright room. Breakfast was lovely and set us up for our day. The hotel was quiet and we had a great night sleep. The reason for 4 stars fornthe cleanliness wouldnbe in the bathroom there was quite a big patch of mould on the ceiling above the shower and a few marks on the patterned cushions, apart from that we would definitely recommend people to stay here. Thank you. Thank you for staying with us and I am pleased you enjoyed your stay. We will address the items you raised and I apologise that we had not already done so before your arrival. 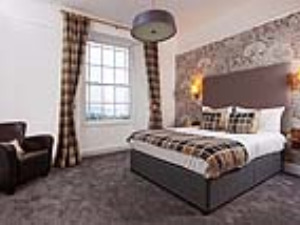 Oakbank House offers bed and breakfast guest house accommodation in the Lake District. Oakbank House is located in the centre of Bowness-on-Windermere and overlooks Lake Windermere and the fells beyond. For a wonderful break choose Oakbank House, overlooking the lake. We provide free parking and WiFi is available in all rooms. We provide free use of a local Leisure Spa with swimming pool, Gym and Spa that is less than 100 metres from our door. Children welcome from any age. From M6 jct 36 take the A590 to Windermere,16 miles. Go through the town centre and down the hill into Bowness, 1 mile. Look out for the small cinema on the right. Helm Road is on the left 100m past the cinema. Oakbank House is on the left behind the Lakeland leather shop.